Technology is Growing.It’s an eight blade flight for just one passenger. 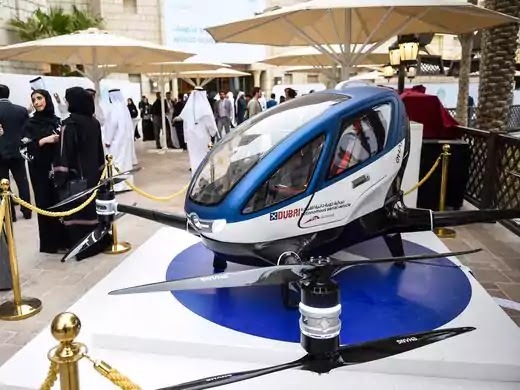 Dubai hopes to have a passenger-carrying drone regularly buzzing through the skyline of this futuristic city-state in July. 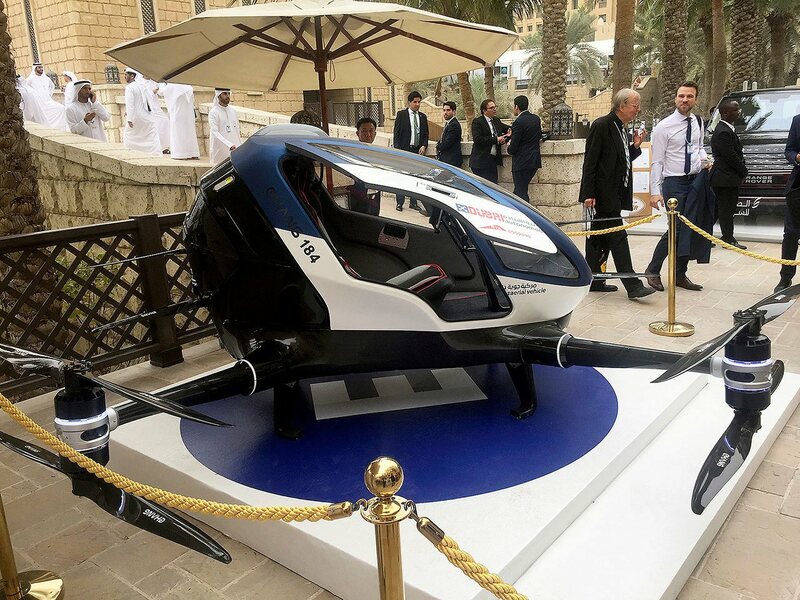 The arrival of the Chinese-made EHang 184 — which already has had its flying debut over Dubai’s iconic, sail-shaped Burj al-Arab skyscraper hotel — comes as the Emirati city also has partnered with other cutting-edge technology companies, including Hyperloop One. The question is whether the egg-shaped, four-legged craft will really take off as a transportation alternative in this car-clogged city already home to the world’s longest driverless metro line. Mattar al-Tayer, the head of Dubai’s Roads & Transportation Agency, announced plans to have the craft regularly flying at the World Government Summit. Before his remarks on Monday, most treated the four-legged, eight-propeller craft as just another curiosity at an event that views itself as a desert Davos. The craft can carry a passenger weighing up to 100 kilograms (220 pounds) and a small suitcase. After buckling into its race-car-style seat, the craft’s sole passenger selects a destination on a touch-screen pad in front of the seat and the drone flies there automatically. The United Arab Emirates already requires drone hobbyists to register their aircraft. However, drone intrusions at Dubai International Airport, the world’s busiest for international travel, has seen it shut down for hours at a time in recent months. Dubai’s ruler, Sheikh Mohammed bin Rashid Al Maktoum, announced in April he wanted 25 percent of all passenger trips in the city to be done by driverless vehicles in 2030. To that end, Dubai already has had the box-shaped driverless EZ10, built by France’s EasyMile, cruise nearby the Burj Khalifa, the world’s tallest building. In October, Dubai signed a deal with Los Angeles-based Hyperloop One to study the potential for building a hyperloop line between it and Abu Dhabi, the Emirati capital.